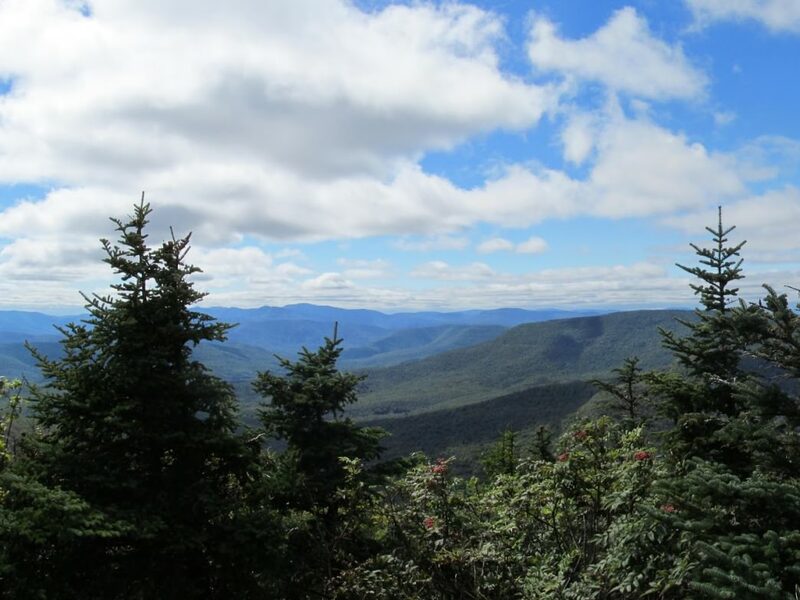 It’s said to be the “hardest trail of the east coast.” Located two hours from NYC in the Catskills region, specifically Tannersville, NY, the 16-mile Devil’s Path East starts at Prediger Road and ends at Devil’s Tombstone Campground. Because of its difficulty, this is a one way hike and you must arrange for two cars, one for the Prediger Road Trailhead and the other at Devil’s Tombstone Campground. If you only have one car, give Smiley Taxi service in Tannersville a ring before heading up to the Catskills. They have experience ferrying hikers from trailhead to trailhead. Make you sure you carry plenty of water with you, as well as sandwiches, headlamps, first aid kit, and a camera. Devil’s Path is scarce of water during most of the year, so extra water is a necessity. 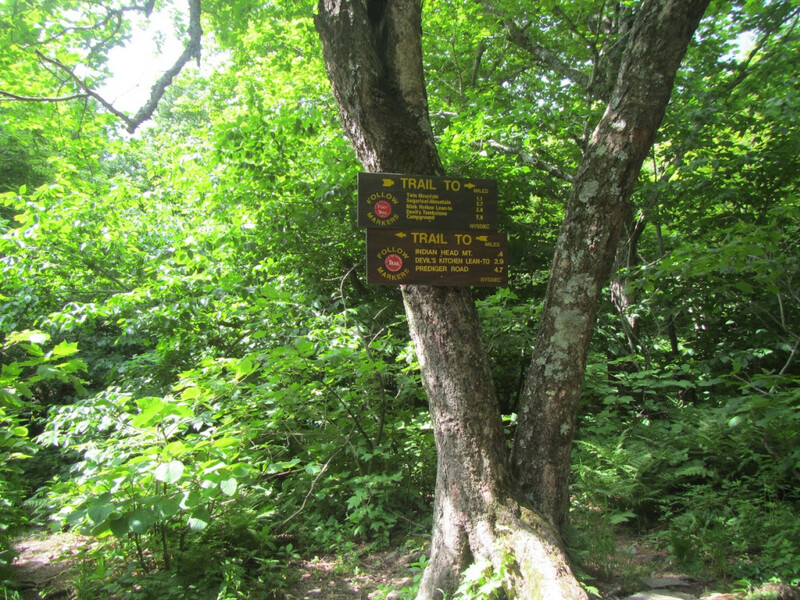 Novices should not attempt the whole path but, instead, try the Jimmy Dolan Notch Trail to Twin Mountain to gain an introduction to Devil’s Path. Winter hiking advisory; crampons are highly suggested, ice picks are useful, and hand warmers are great. Additionally, you can ask on the Facebook Group Catskills Trail Conditions for trail conditions on Devil’s Path or anywhere else in the Catskills. Devil’s Path consists of four mountains: Indian Head, Twin, Sugarloaf, and, Plateau. It also boasts a 4,300 foot elevation gain. Devil’s Path earned its name from colonial claims that only the devil with his hooves could traverse the unforgiving trail. Although the La Sportiva Synthesis Mid GTX boots (found at REI) have proven worthy to the task as well. From the Prediger Road Trailhead follow the trail across a stream to a trail junction—Devil’s Path is to the left with an appropriately-colored red blaze. 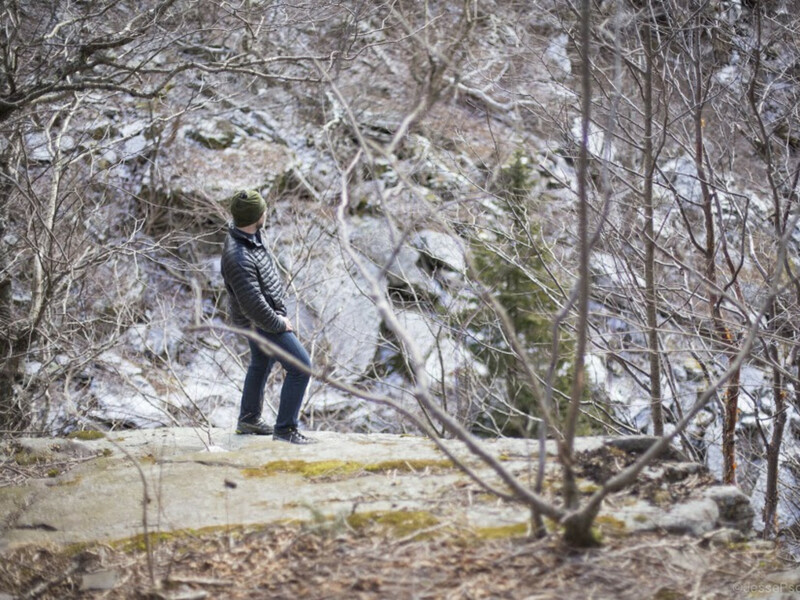 Some hikers prefer to go right on the Jimmy Dolan Notch Trail which will eventually intersect with Devil’s Path again. Beware, the incline will progressively increase and the the path will thin. You’ll have to cross over a stream via some rocks as the path descends to merge with the Overlook Trail, which leads to the Devil’s Kitchen lean-to. Stay right on the merged trail and follow it shortly until reaching a trail junction with Devil’s Path heading right toward Indian Head Mountain, the first peak. You’ll be able to tell how close you are to the top based on the steepness of the trail—the closer you get to the top, the fewer the flat sections. Indian Head Mountain is named for looking like a face coming out of the Earth, and the climb leads to Sherman’s Lookout, the “chin” of Indian Head. This scenic viewpoint offers excellent views of the Hudson Valley. After resting a bit while taking in the views, it’s time to get back on the trail. 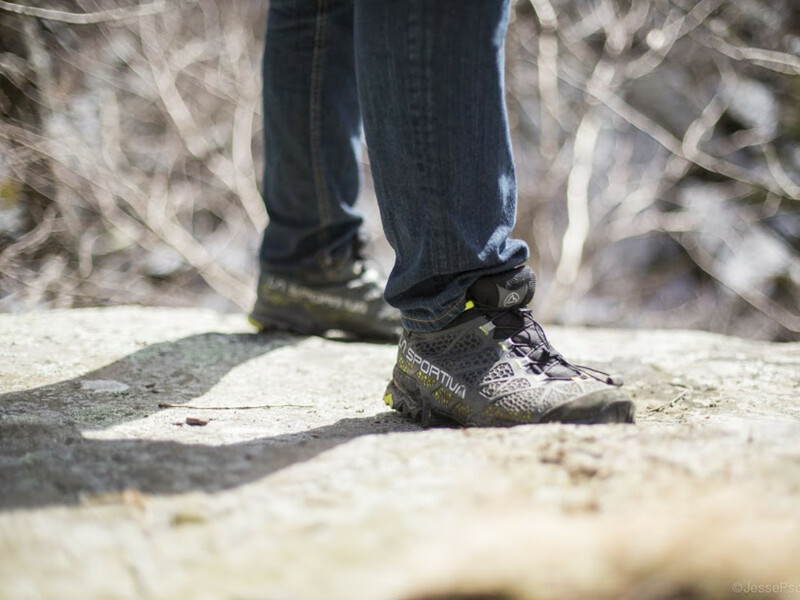 Devil’s Path brings you up, down, and around rock formations to other scenic areas with views of the surrounding mountain ranges and the Ashokan Reservoir. Stay on the path toward a climb that is short but, nothing close to sweet, toward Pulpit Rock, a ledge that offers breathtaking views. This ledge is the perfect spot for a selfie—Tebow pose and all. The trail continues with some more ups and downs before you really need to get your hands dirty by grabbing tree roots to climb about 50 feet. During winter, this sections is perilous even with all the latest and greatest equipment. At the 3,500-foot sign take a victory sigh, and cry if needed at the wooded summit of Indian Head Mountain. The summit does offer a few viewpoints around the area, but nothing is more important than knowing you just completed the first big challenge. Jimmy Dolan meets Devil's Path. Now begins the four-mile descent to the Jimmy Dolan Notch—the Jimmy Dolan Notch Trail, from Prediger Road, intersects from the right and a sign is posted. If you want to bail, then do it now. Take an inventory of water and general well being because after the Jimmy Dolan Notch, the only way back is either hitchhiking or calling Smiley Taxi service to reach Prediger Road. There are also two primitive campsites to the right of the sign where the Jimmy Dolan Notch Trail and Devil’s Path intersect—bear slightly left and follow an unmarked trail to find them. If you are feeling good, continue straight on Devil’s Path toward Twin Mountain. Don’t worry, this ascent is much easier than that of Indian Head. This one starts off with a rocky terrain, continues along under a rock overhang, and then ascends vertically for about 10 feet until reaching the 3,500-foot elevation sign. The trail levels out here and opens up to the first summit of Twin Mountain. There are some fantastic views here, so take some time to grab the camera and catch your breath. The trail to the second peak of Twin Mountain is pleasant and leads to more scenic views. The descent from Twin, however, is terrifying and makes up for the easy ascent. It’s starts out by challenging you with lemon squeezes and by making you navigate steep rock formations. After all this, there’s a 50-foot cliff, that once you make it down, you will find yourself retracing your steps thinking you lost the blaze but, no, Devil’s Path requires this cliff to be descended. After safely navigating the cliff, you’ll enter a boulder field that will take you to Pecoy’s Notch Trail, which enters from the right and will take you to the Elka Park Road Trailhead. Take a rest at Pecoy’s Notch and evaluate your situation. Water inventory is a must! Take note, about 20 yards before reaching the intersection of the Pecoy Notch Trail and Devil’s Path, there’s an unmarked trail to the left that leads to a primitive campsite. On windy nights it's almost impossible to sleep here due to the echo. The ascent from Pecoy’s Notch to Sugarloaf begins with a steep climb through rugged terrain. At the 3,500-foot elevation marker the trail levels and continues to the wooded summit of Sugarloaf. Devil’s Path then descends over multiple boulders and past caves. Please, do not enter any caves. The trail runs through yet another lemon squeezer during the descent then brings you across a cliff. The descent to Mink Hollow continues under a rock arch and past massive boulders until you reach the trail junction with the Mink Hollow Trail, which intersects perpendicular from the Roaring Kill Road Trailhead toward the right and the Mink Hollow shelter to the left. As at the previous trail junctions, take an inventory. There is a spring further along Devil’s Path past Mink Hollow but, in winter the spring is useless. The path to Plateau Mountain boasts the best scenic views on the hike with steep inclines that will burn your already burning calves more. But, the summit of Plateau Mountain is flat (surprise right?) and offers great views. The descent is steady yet, rugged. From here, Devil’s Path continues onward toward Stony Clove Notch and Devil’s Tombstone Campground. Your final leg traverses one last climb to Danny’s Lookout, which offers great panoramic views, and then descends to Stony Clove Notch where your car is parked. At this point you can either jump for joy, get in the car, and head to Dutch Ale House for a victory round or, get on your knees and cry because the keys fell out at of your pocket at Twin. 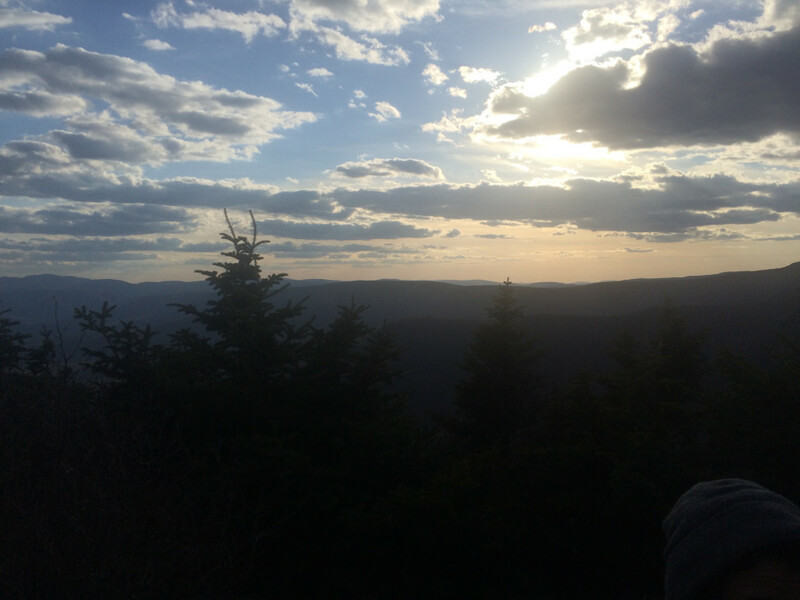 Either way, congratulate yourself, you just completed the toughest hike on the East Coast.